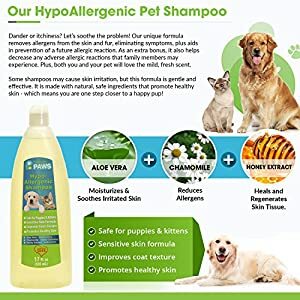 This all in one dog shampoo neutralizes environmental allergens while removing and reducing allergenic dander, destroys odors, and protects from fleas and ticks. 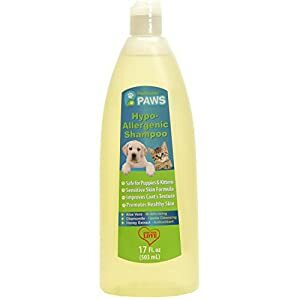 Its mild formulation, consisting of colloidal oatmeal and oat kernel flour with tea tree oils, washes out easily and is pH balanced to protect your dog’s sensitive skin. 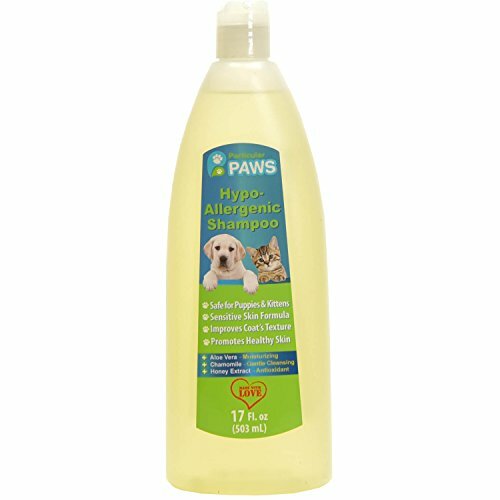 Wet dog’s fur with water, apply shampoo directly on fur and work into lather, rinse off, and allow dog to dry. 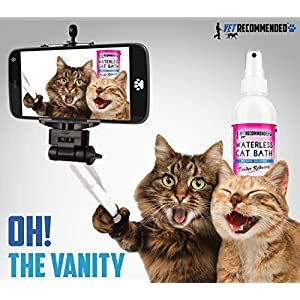 Treatments last up to 30 days, best when used weekly. 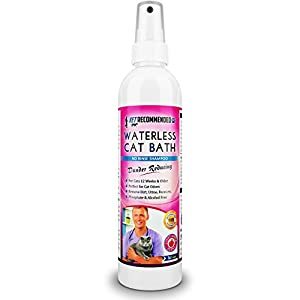 This product is made in the USA with all natural ingredients. 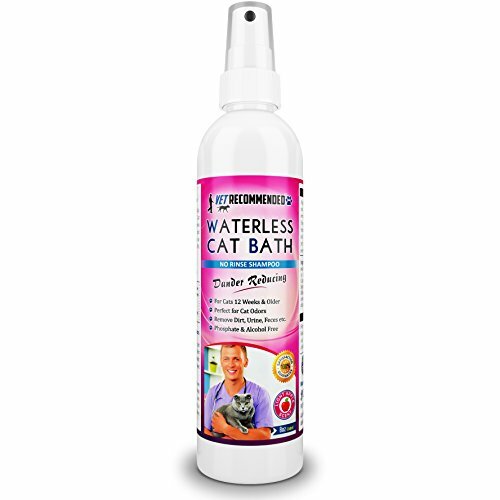 It is biodegradable, fragrance free with no dyes or ammoniates. 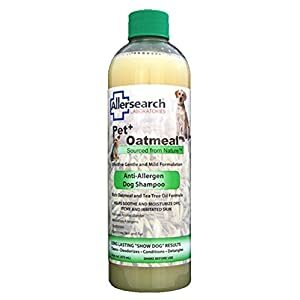 Allersearch make a variety of anti-allergen products for your home.